We Buy/Sell Gaylord Boxes MO. If you are looking for of lightly used gaylord boxes, we would be more than happy to service your needs. 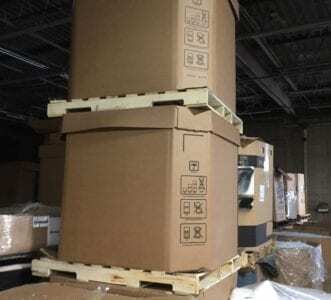 We provide boxes of all strengths, sizes, and shapes to customers throughout the state of Missouri. We will promptly source your request, and be in contact shortly. 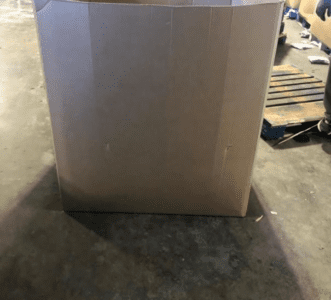 Corrugated cardboard and gaylord boxes are sizable, and can be inconvenience if they are unwanted. In order to address this problem, we offer a complimentary corrugated cardboard and gaylord box removal service. We promise to incur all freight costs involved. Higher quality used gaylord boxes are not always easy to come by; which is exactly why we will compensate you for lightly used gaylord boxes. Simply complete the box seller form, we will source the request and be in contact with you as soon as we possibly can. 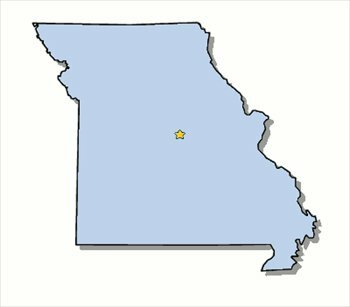 We service a broad clientele base in the state of Missouri. We have built and maintained partnerships in the cities of Kansas City, St. Louis, and O’Fallon. However, we are actively and adamantly looking to establish connections in the cities of Columbia, Springfield and Independence. Additionally, our partners in the bordering states Illinois, Kentucky, Tennessee, Arkansas, Oklahoma, Kansas, Nebraska, and Iowa can provide for customers in the state. Missouri’s strategic placement in America’s heartland and along the Mississippi river makes it one of the most important shipping lanes in the United States. Because of this, there is an abundant amount of gaylord boxes and other forms of bulk containers in and around the state. While there are no current listings for Missouri, we can still proudly provide all of your boxing needs with our affiliates in the border states of Illinois and Kentucky. One of the most popular services we provide is our complimentary used cardboard and gaylord box recycling service. Additionally, if you’re looking to sell your gaylord boxes, we will happily purchase them from you. However, the boxes must be in either grade A or B+ condition. Lastly, all that needs to be done in order to fulfill your boxing needs is the completion of our box buyer form. Upon completion of the form, we will have your order processed, and reach out to you shortly after. We look forward to doing business with you!